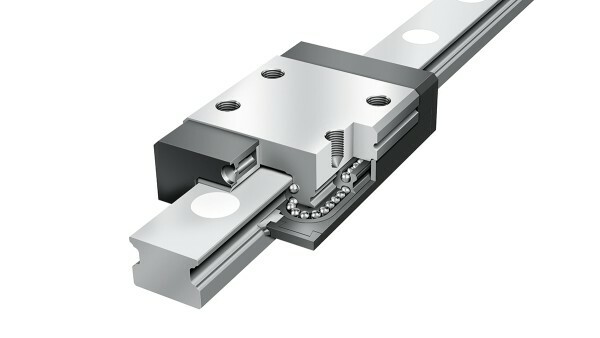 Double-row and four-row miniature linear ball bearing and guideway assemblies are full-complement, preloaded linear locating bearings for unlimited stroke lengths. A unit comprises at least one carriage with a locating face and a guideway. The units can support forces from all directions apart from the direction of motion and moments about all axes. The double-row units have two rows of rolling elements in four-point contact with the raceways. KUME..-C has four rows of rolling elements in two-point contact with the raceways that transmit forces at a contact angle of 45°. 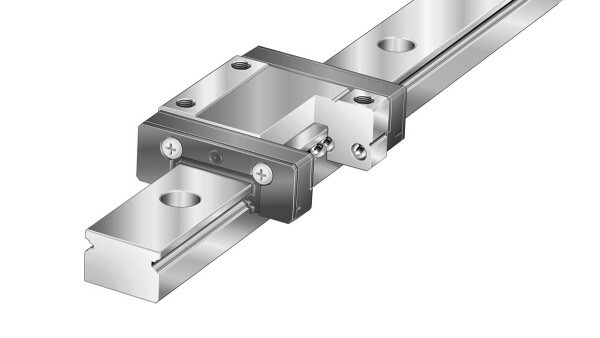 The linear ball bearing and guideway assemblies are corrosion-resistant due to the steels used in the manufacture of the saddle plates and guideways. 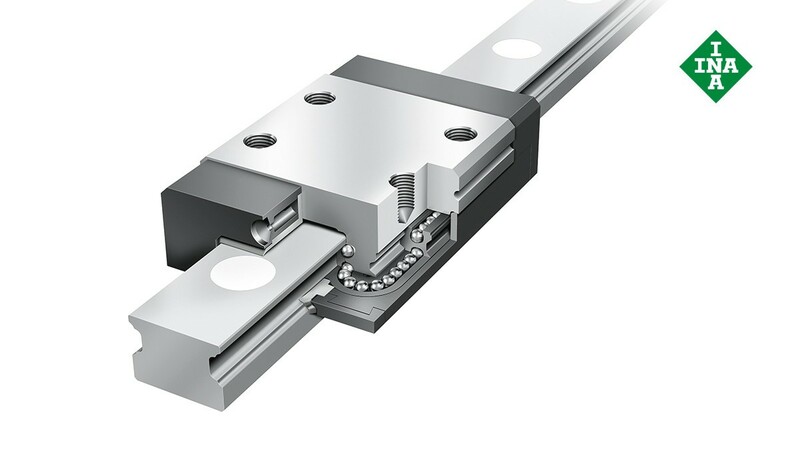 These guidance systems are preloaded linear locating bearings for limited and unlimited stroke lengths. These units have moderate load-carrying capacity and moderate to high torque load-carrying capacity. Due to their modular concept, guideways and carriages can be interchanged within each inter­changeability and quality class. This simplifies the fitting of guidance systems, facilitates spare parts purchasing and allows very economical stockholding. The saddle plates and guideways are corrosion resistant. Seals on the end faces of the carriages protect the rolling element system against contamination. The carriages are greased and can be relubricated. The guideways and carriages are also available in a wide version. 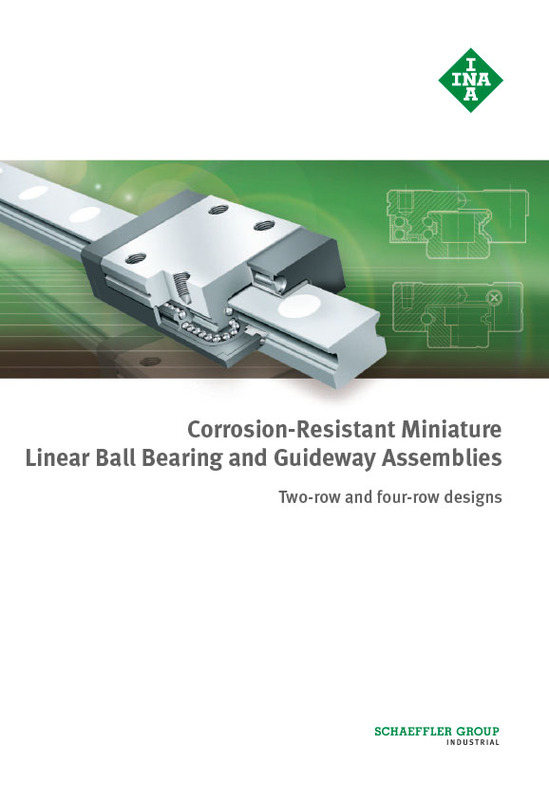 Four-row miniature linear recirculating ball bearing and guideway assemblies are ready-to-fit guidance systems for unlimited stroke lengths. They have high to very high load-carrying capacity and rigidity. The saddle plates and guideways are corrosion resistant. Seals on the end faces of the carriages protect the rolling element system against contamination. Due to the lubricant reservoir, the relubrication intervals can be extended. The carriages are greased and can be relubricated.